No doubt you are feeling the pressure to create and deliver more and more relevant, engaging content that customers can access 24/7. You’re not alone. 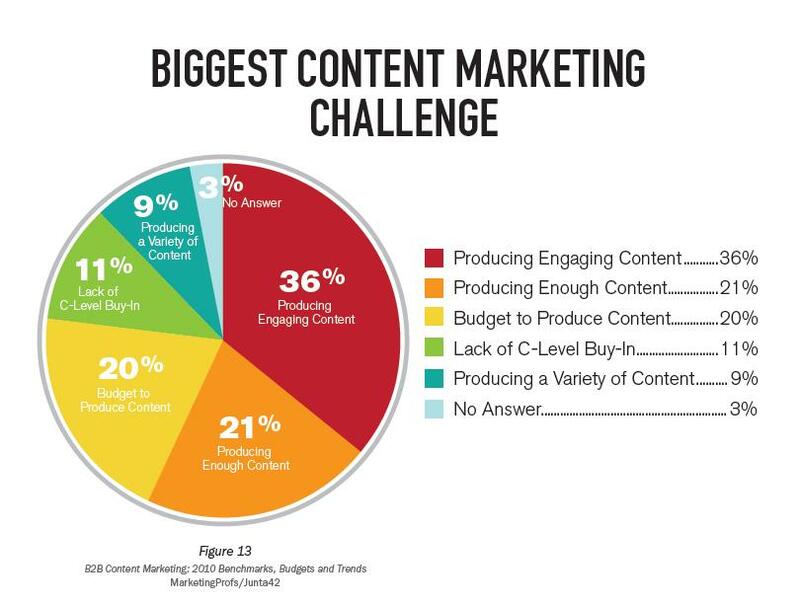 A recent research report by MarketingProfs and Junta42 found that the biggest challenges for marketers are producing engaging content and producing enough of it. Make sure content is relevant to your audience and helps them with an issue they have right now. Give your audience something that they can’t find anywhere else. Be entertaining, educational or both. Tell the audience a story. Invite the viewer to engage with you further by adding a call to action. Brainshark is sponsoring a series of webinars and seminars to help you keep pace with the increasing demand for engaging content. We’ve invited guest speakers including content marketing evangelist, Joe Pulizzi, Chief Content Officer at Junta42 and the Content Marketing Institute. When you register for these events, you’ll gain immediate access to a Content Marketing Resource Kit.